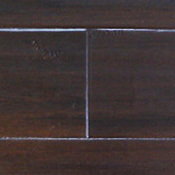 Walnut Hardwood Flooring is comprised of two groups - Heartwood and Sapwood. 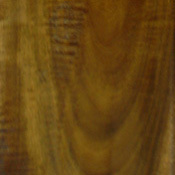 The Walnut Heartwood group color can vary from a deep, rich brown all the way to a purplish black color. 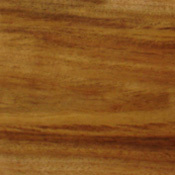 Walnut Sapwood is just the opposite; it ranges from a nearly white color to a tan. Walnut is a beautiful type of flooring, but you should be aware of the differences between Sapwood and Heartwood. 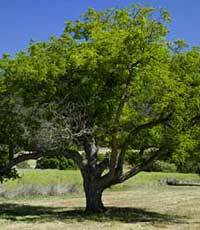 Sapwood is the outer part of the tree, so it is less durable and more permeable than Heartwood. 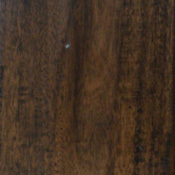 Sapwood is usually more smooth than Heartwood. Remember that while Sapwood may be smooth and beautiful, it can warp more easily than Heartwood. Heartwood is the much older, stronger part of the wood. 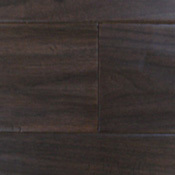 Heartwood is usually deposited with various materials and thanks to this, it recieves a darker color tone. 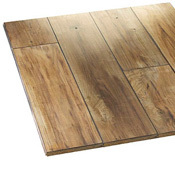 Heartwood is a great choice for flooring because it is strong and hard. Heartwood is great for almost any home, no matter the location, because it is resistant to many weather conditions. 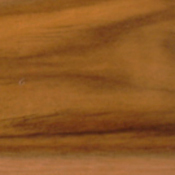 Even though Heartwood is stronger, it is graded lower than Sapwood because it retains many imperfections. 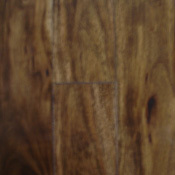 Some of the types of Walnut Flooring include Brazilian Walnut with a Janka Rating of 3684, so it is the top of the line, and Black Walnut with a Janka Rating of 1010. 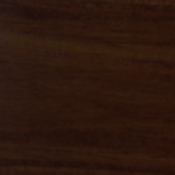 As you can see the Janka Hardness Ratings vary drastically, so be sure to ask which type of Walnut Hardwood product you're searching for. 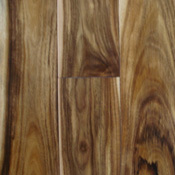 These are some Walnut Products we offer.